Stop down to celebrate a great year of biking and wrap-up the "12 Days of Yay" with an evening of food, drink and camaraderie. • Food and drink specials. • Pickup your 12 Days of Yay prize if you are a winner. • Enter the raffle for some great biking prizes. • Join Yay Bikes! 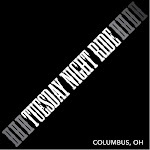 and support bicycle advocacy in Columbus. • Pickup a set of pint glasses to support Yay Bikes! courtesy of Hal & Al's. Not sure what Yay Bikes! is all about? Look for members in our red shirts and find out what we are doing to get people on bikes here in Columbus.